where eis ellipsoid’s eccentricity. The geodetic representation allows GPS positions to be combined with historic geodetic observations (triangulation, trilateration) originally defined with respect to various geodetic datums after appropriate transformations have been applied (Soler and Hothem, 1989). 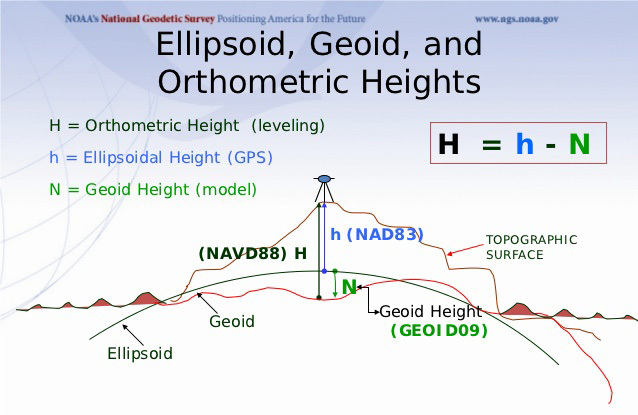 Values for the ellipsoidal parameters (a, f) used for GPS analysis are usually taken from a standard coordinate system for the Earth that, historically, served both as a reference ellipsoid (datum) and an approximation to the gravitational equipotential surface that defines the geoid (nominal sea level – section 7.2).  The geocentric Geodetic Reference System GRS80 included the following parameters: the ellipsoid’s semi-major axis or Earth’s equatorial radius a=6378137 m and the flattening factor 1/f=298.257222101. The GRS80 physical constants included the geocentric gravitational constant GM=3.986005 x 1014m3/s2, the dynamical form factor J2=1.8263 x 10-3, and nominal mean Earth’s angular velocity w=7.292115 x 10-5rads-1. 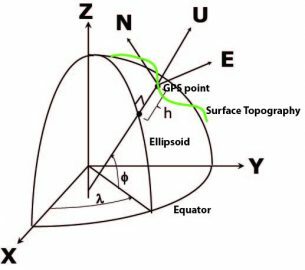 At one point, the World Geodetic System 1984 (WGS 84) ellipsoid, which is the datum for GPS maintained by the U.S. Department of Defense, was defined to be equivalent to the GRS80 ellipsoid. The WGS84 is globally consistent within ±1 m, compared to current realizations of the ITRS, the ITRF, which are internally consistent at the cm level. Therefore, the U.S. Department of Defense has kept WGS84 consistent with the ITRF. The current WGS84 ellipsoidal parameters are the semi-major axis a=6378137 (same as GRS80) and a slightly modified flattening 1/f=298.257 223 563. The CSRC is concerned with the transformation of ITRF coordinates to a North America fixed reference frame maintained by the U.S. National Geodetic Survey (NGS), referred to as National Geodetic Datum 83 (NAD83) of multiple versions, the latest being NAD83(2011). The NGS maintains several program that perform the transformations from ITRF to NAD. The Horizontal Time-Dependent Positioning (HTDP– note that this is a beta page that includes transformations for ITRF2014) software also allows coordinates transformation from one date to another, which is useful in tectonically deforming regions such as California. The NGS Coordinate Conversion and Transformation Tool (NCAT) is also useful.